My research has focused on the pathogenesis of asthma, allergies and respiratory infections. The major sequence of recent projects undertaken in this area has involved epidemiological studies (e.g. birth cohort studies on the effect of asthma during pregnancy), clinical studies (e.g. improved diagnostic algorithm for peanut allergy employing exhaled nitric oxide), studies in mouse models of experimental asthma and rhinovirus infection (e.g. role of micro(mi)RNAs and TRAIL/MID1/PP2A). I have established the NSW Children and Infants lung function CEntre (NICE) in order to investigate the origins of asthma in early life on a physiological, cellular and molecular level. I have published in high impact journals [e.g. J Exp Med, Nat Med, JACI, PNAS] highlighting the significance of my scientific contributions to the field since 1998. The work has also received several prizes and awards at scientific meetings. I am regular reviewer of international medical journals and national and international grant funding bodies and editor of the Asthma & Allergic disorders section of BMC Pulmonary Medicine. I am convener of the Special Interest Group Asthma, Thoracic Society of Australia and New Zealand. I am Head of Experimental and Translational Respiratory Medicine that employs a wide range of state-of-the-art experimental disease models (e.g. rhinovirus infection in mice, transgenic mouse models, eosinophilic oesophagitis&food allergy mouse models), molecular cutting-edge techniques (miRNA arraying, siRNA-mediated inhibition in vivo), ex vivo tissue culture systems (culturing of PBMCs, infection of airway epithelial cells), infant and pre-schooler lung function testing (e.g. the raised-volume rapid thoracoabdominal compression technique, multiple breath washout, forced oscillation technique, FeNO). We have successful national and international collaborations that are documented by publications in the highest-ranking medical science journals. I am a Paediatric Respiratory and Sleep Medicine physician (FRACP) and was clinically very active throughout my career. I was trained at the University Children's Hospital Freiburg, Germany from 1996 to 2005 including a Research Fellowship (German Research Council) at the John Curtin School of Medical Research, ANU, Canberra from 1999 to 2001. I have completed a M.D. 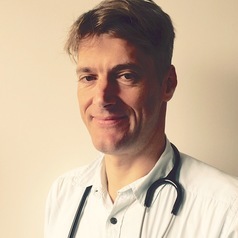 degree in Cardiology (1999, University of Hamburg) and a Doctor habilitatus in Paediatrics (2005, University of Freiburg, premier Research higher Degree qualification for medical doctors in Germany). Based at the Newcastle Children's Hospital, I provide specialist services as a Consultant in Paediatric Respiratory and Sleep Medicine across the entire Northern NSW Child Health Network (Kaleidoscope). I am the clinical Director of the Paediatric lung function service and member of the Kaleidoscope Strategic Leadership Team. In March 2011 I was appointed as the Chair and Discipline Lead of Paediatrics & Child Health at the University of Newcastle. I am the Course Coordinator for the Women, Children, and Adolescent Course (WACH) of Joint Medical Program, Year 4. I have recently authored the Neonatology and the Paediatrics Chapter (eBook) in Talley and O'Connor's Clinical Examination: A Systematic Guide to Physical Diagnosis, 7th Edition, a bestselling title for over 25 years among student clinicians. I am a translational researcher with an internationally recognized expertise in both experimental and clinical Paediatric Respiratory Medicine as well as a scholarly teacher with the vision to promote self-improving health care to children and their families through excellence in research & education.